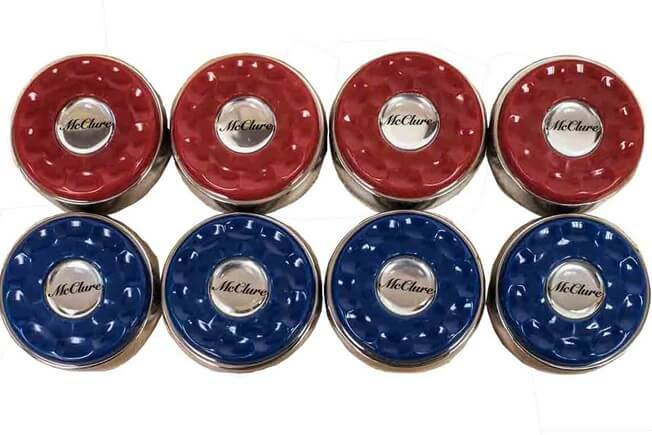 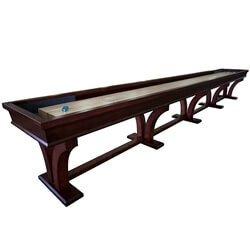 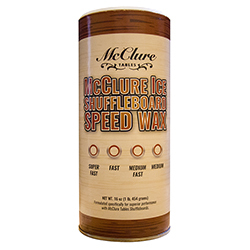 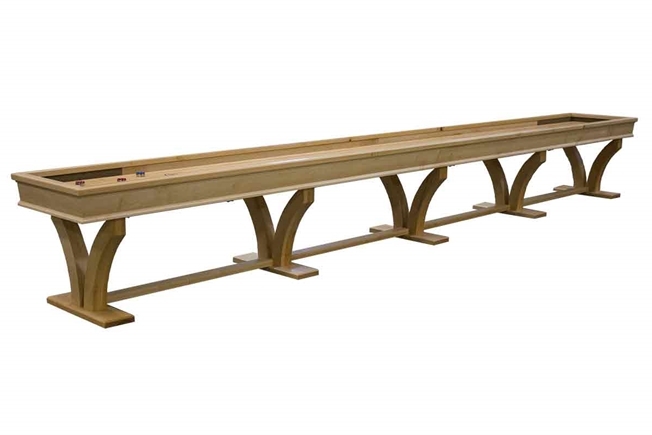 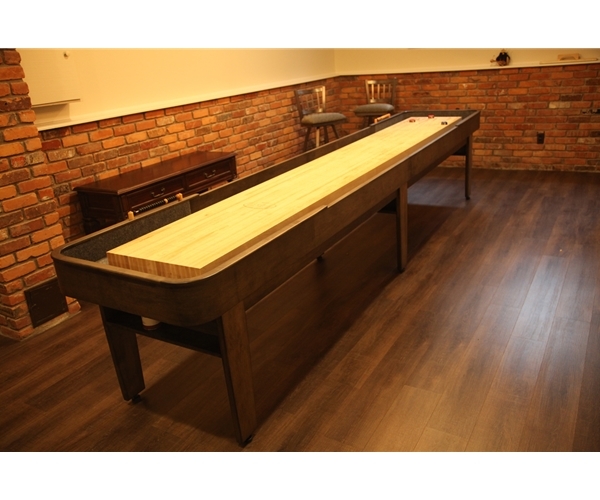 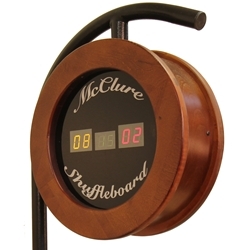 Whether you’re looking for a professional length, 22-foot long table, a smaller 9 or 12-foot model to fit in a family game room, or something in between, McClure has the perfect size of shuffleboard for your home or business. 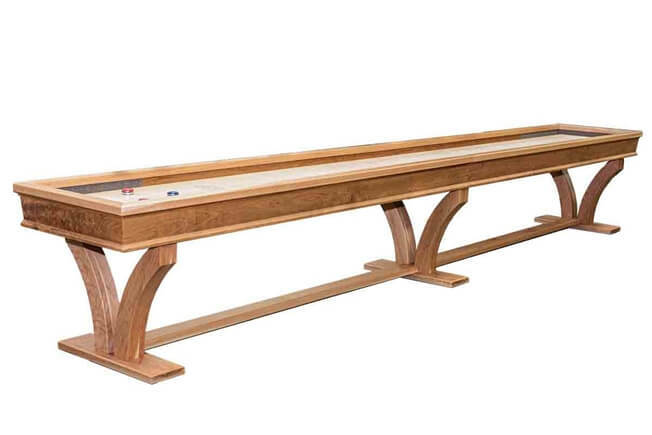 Each one of our shuffleboard tables is carefully crafted by hand, assembled, finished, and inspected by McClure’s team of master craftsmen. 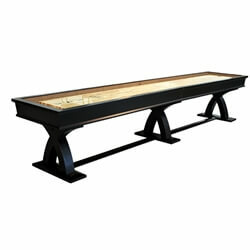 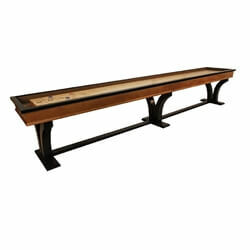 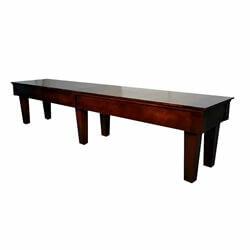 Shuffleboard table playing boards are always 16 inches shorter than the cabinet. 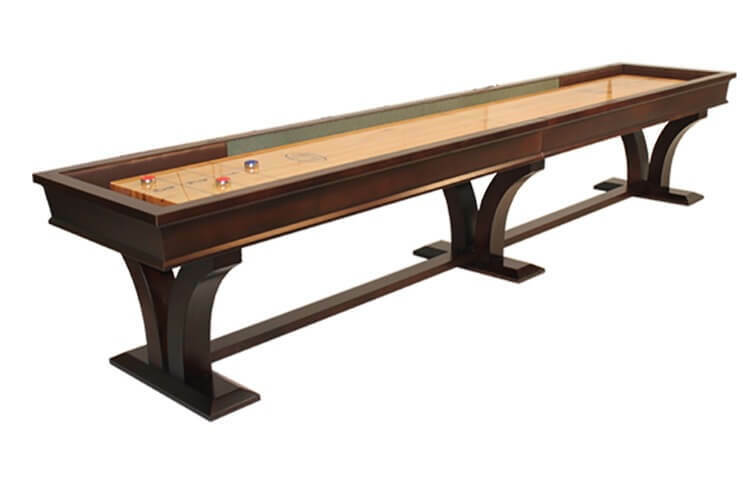 Cabinets 14 feet and up ship in two pieces, though playing boards of all sizes ship in one piece and can be difficult to navigate through tight spaces. 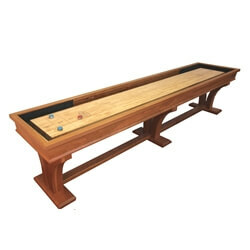 Custom two-piece cabinets and playing boards can be made upon request.